The research of this group is devoted to the study of mathematical problems that appear in the mathematical description of nonlinear spatio-temporal processes in optoelectronics and photonics. Nonlinear dynamical effects in optoelectronics and photonics. The research activities include mathematical modeling, theoretical investigation of fundamental physical effects, implementation of numerical methods, efficient modeling and simulation of complex devices, and the development of related mathematical theory, mainly in the field of dynamical systems. The numerical simulation of optoelectronic devices results in the development of suitable numerical software tools. Moreover, analytical investigations for a theoretical understanding of the nonlinear effects are performed. Further research concerns are the mathematical theory and methods in the field of nonlinear dynamical systems. The work is supported by several third-party funded projects. 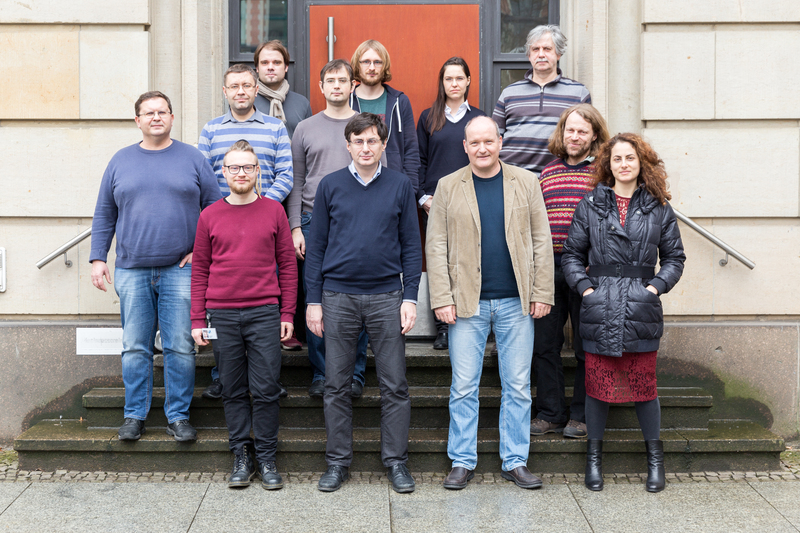 Furthermore, the research group is organizing international workshops with typically interdisciplinary character, as well as the interdisciplinary research seminar "Mathematical Models of Photonics" with HU Berlin, and the senior seminar "Nonlinear Dynamics” with FU Berlin. The EUROSTARS project E!10524 "High Power Composites of Edge Emitting Semiconductor Lasers" (HIP-Lasers) has startet. A joint paper on the phase space dynamics of ocean rogue waves appeared in Nature Scientific reports.